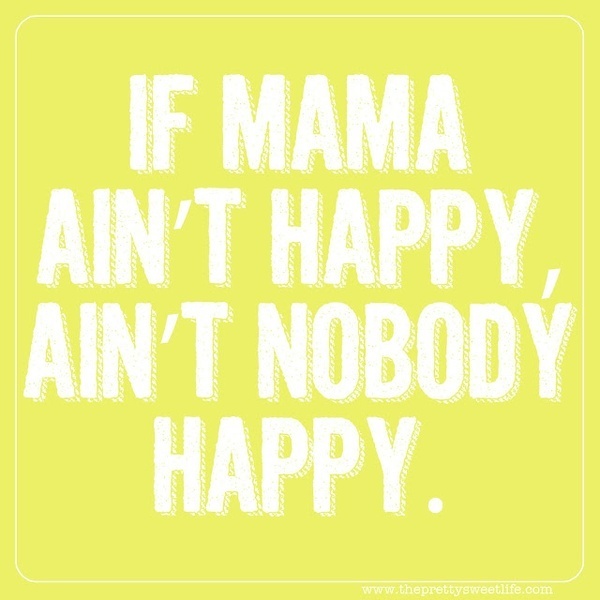 If Mama ain’t happy, ain’t nobody happy. Just a funny way to say that Moms are the center of the family and that everyone will be in a good place if the mom is doing well. Not sure how much I believe it, but it is a funny saying.